January 25th 2019. 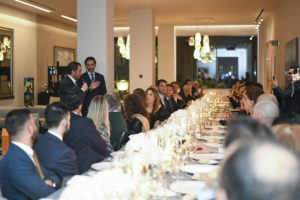 Milan was the first stop last night in a series of 12 exclusive El Primero 50th anniversary dinners hosted by Zenith over the next year in celebration of the half-century of avant-garde and precision represented by the legendary El Primero high-frequency chronograph. 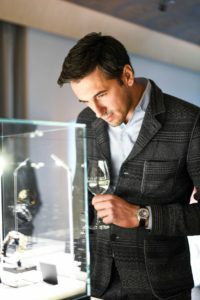 The city was a natural choice for the kick-off, given that Italy was the first country to receive the El Primero in 1969. Part of a tour entitled “Le Grenier Club” and characterized by their exclusive atmosphere and select, unexpected locations – such as art galleries and exceptional private properties – in 12 of the world’s greatest cities, the dinners will take place at a rate of one a month symbolizing the 12 months of the El Primero 50th anniversary year. 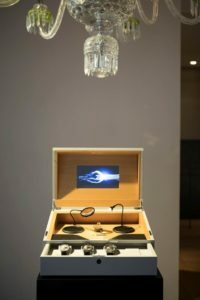 In a second symbolic tribute to celebrate the anniversary of the iconic “El Primero” movement, guests at the dinners will be exposed to an exceptional exploration of the world of Zenith created by a class of undergraduate photography students at the University of Art and Design Lausanne (ECAL). 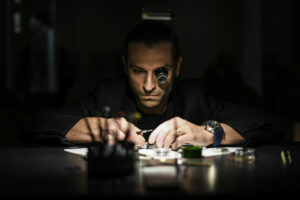 Guided by fashion photographer and teacher Philippe Jarrigeon, the students worked inside the Le Locle Manufacture and in ECAL’s Lausanne studios to create visuals of 12 images that represent the 12 hours on a dial, the 12 months of the year, and the 12 stages of an exhibition bearing witness to the characteristic richness of Zenith, while breathing new life into the iconic “El Primero” movement.